Many people don’t realize it, but much of the gold found in the United States was transported by glaciers. Volcanic eruptions that happened in North America and other parts of the world tens of thousands of years ago are responsible for bringing the gold to the surface. However, these gold deposits remain more-or-less in place. Normal erosion takes place and moves the gold around, but it generally stays in the same general area that it was formed. Glaciers brought gold-bearing ores south from Canada. As the glaciers receded, these ores were deposited. This is the source of most of the gold found in the Midwest and Northeastern U.S. Glacial action usually pulverized the ores and left only fine gold dust. What is Glacial Gold and How Did it Get Here? This isn’t the case with glacial gold. During the various ice ages that occurred throughout the history of our planet, glaciers grew and moved over the landscape. They scraped across the earth, breaking apart rocks and top soils (some of which contained gold) and other important minerals and carried them along for long distances. 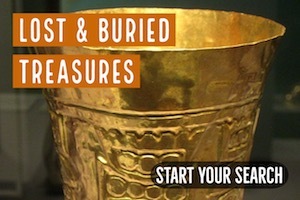 Sometimes gold moved hundreds or even thousands of miles from its original source. When the glaciers finally melted they left behind huge piles of boulders, rocks, and debris that contained gold and other important minerals. This gold is what is referred to use glacial gold. Glacial gold is still subject to the same natural erosion that alluvial gold is once it has been deposited. Thus, glacial gold will usually accumulate in creeks and rivers just like any other form of placer gold. It probably doesn’t take very long for this to happen either. Think about it. As glaciers melt, huge amounts of runoff are being washed out and the debris from the moraines leaving behind rich gold concentrates to be mined. Mining glacial gold is a lot more challenging when compared to alluvial gold along the river banks. For one thing, the gold is usually much finer in texture due to being pulverized by the glaciers. Distribution is also very spotty, because the gold drops wherever the glacier has melted. There’s no rules to where the gold can go. 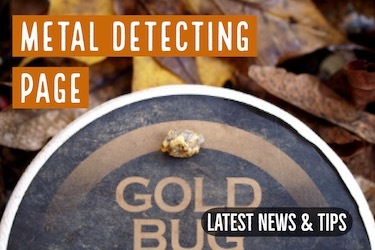 Standard equipment such as sluicing boxes still work for capturing glacial gold, but most prospectors have discovered that using specialized equipment will help aid in the recovery of this extra fine gold. One tool that works really well is the Gold Cube . There quite a number of places you can find glacial gold in the United States. For the last million years, huge glaciers have rolled over the North America a couple of times from different angles. Glaciers moved scooping gold-bearing ores originating in Canada. These glaciers covered most of the northern parts of the United States, but especially through the Great Lakes Region, down into the Midwest, as well as Northeast. 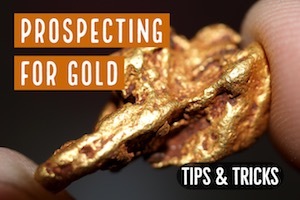 Remember, gold deposit in such places will vary depending on where you are prospecting. You, therefore, need to consider the land topography, soil erosion and other features that may have an effect the presence of gold in such places. There are indicators, but ultimately you need to do a bit of research and then prospect, prospect, prospect! 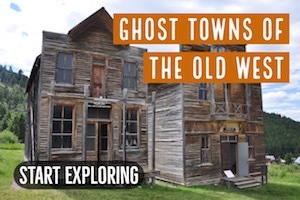 Start by exploring the northern sides of the mountains where higher chances are gold-bearing rocks were dropped by both the growing glaciers from the north and the receding glaciers from the south. Just remember that erosion has likely moved the gold into the creeks. To make the work of finding the right glacial gold, look for glacial ice charts to know where and when the last glacier rolled over a given place. The best way to locate glacial gold is to combine the glacier ice charts with your knowledge of the availability of gold in the areas that you are interested in. For example, if you find areas with creeks and streams that have recorded some gold without there being large gold veins in such places chances are gold washed down the stream or creek from glacial gold deposits somewhere up in the surrounding valley or mountains sides. Also look at how the mountains making up the valley you are working on lay across the land. All the glaciers that moved across North America during the ice age moved from the north to the south. But the glaciers often moved at an angle either Northeast or Northwest when moving into an area and Southeast or Southwest when receding based on the shapes and the position of the mountains on the ground. 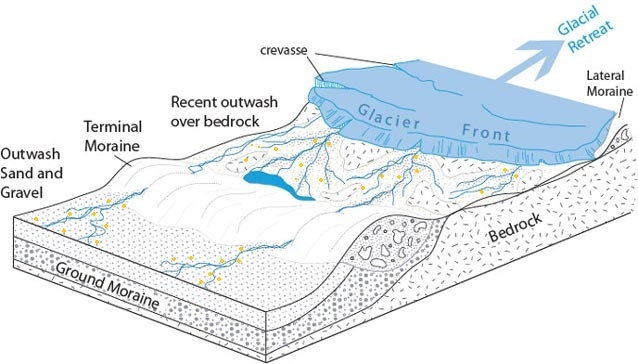 By looking at this you will have a clear picture of how the glaciers might have deposited gold in an area based on its movement and this will help enhance your chances of finding some glacial gold deposits. It is now clear that most of the gold-rich Midwest states got their gold from glacier deposited moraines. Most of the gold was carried from Canada during the ice age and deposited in the Midwest as the ice begun to recede. 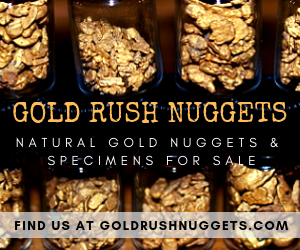 Some of the Midwest states that have recorded a considerable number of glacial gold deposits numbers include Iowa, Minnesota, Nebraska, North and South Dakota, Kansas, Michigan, Illinois, Indiana, Minnesota, Michigan, and Missouri. The Glaciers that covered the west also covered a number of the Northeast states bringing gold-bearing rocks and debris from Canada and other gold bearing places to these states. Some of the northeast states where you can find glacial gold include Pennsylvania, Ohio and all of New England. For glacial gold, you will need to do some digging and rock breaking to recover the gold. for this reasons, you need to have a number of digging tools to help you. The Gold Cube is an important piece of equipment that will greatly enhance your rate of gold recovery. It costs a few hundred bucks, but I don’t think there is anything better right now for recovering tiny gold particles like you will encounter in the Midwest. If you mine somewhere near a source of water then a gold pan is an important tool that you should have. 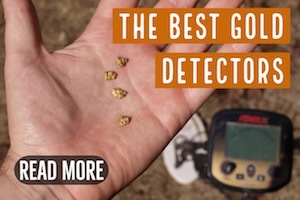 Even though it can be challenging to capture the tiniest bits of gold, it is still a good prospecting tool to locate areas to get set up. A standard sluice will lose a lot of glacial gold, by using specialized matting you can recover much more of it.